I *finally* finished my Filatura di Crosa 501! Awhile ago I bought 10 skeins. I made Katrina Rib. I made a pair of socks. And the yarn still kept showing up! So I decided to work on a second Red Scarf for the Red Scarf Project. 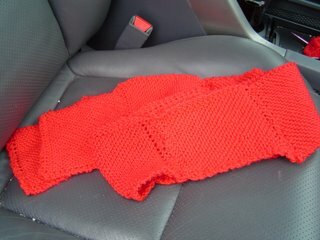 Ultimately I finished at least 2 balls of 501 on this scarf, and almost 1 ball of Jaeger Baby Merino. Hallelujah! Please remove me from the blog ... 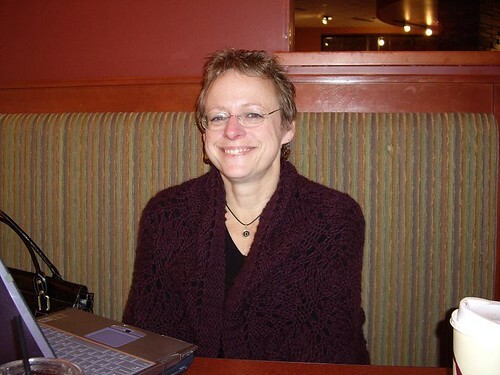 I'm having blogger issues with my own blog and am trying to resolve them by eliminating myself from all other blogs. 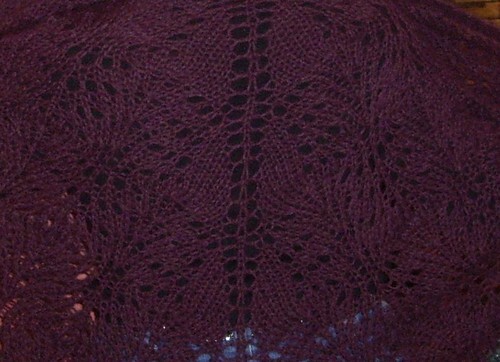 Lots of successful stashbusting this month! 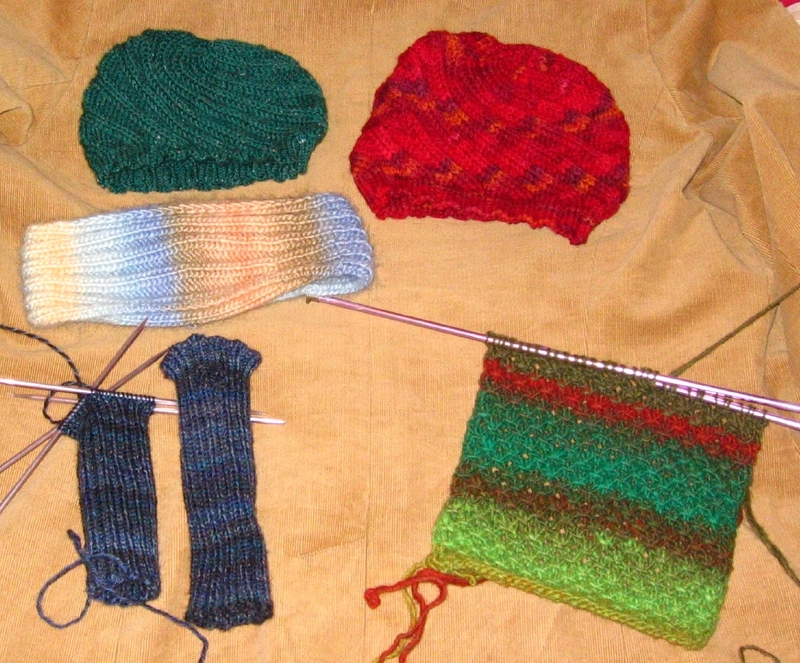 A green Odessa hat, a red Odessa hat (when I realized the pattern was for a much smaller head than my own), a Panta headband, a pair of fingerless gloves (nearly finished! 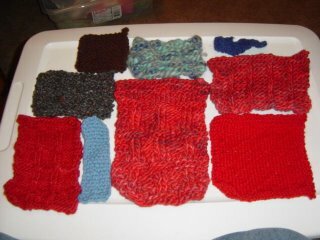 ), and a scarf I started with Noro Kureyon last night. There's also a drop-stitch scarf in Paton's SWS, but I forgot to include it in the photo. 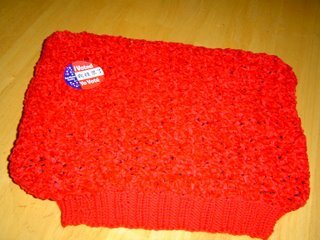 I wanted a cover for my computer and had tons of yarn, so I grabbed the first ball of yarn that was relatively thick - Lion Brand Chenille, knit it up then added an edging with some stash Filatura Zara -- a computer sweater! I'm now hard at work starting a sweater made entirely of stash red yarn!